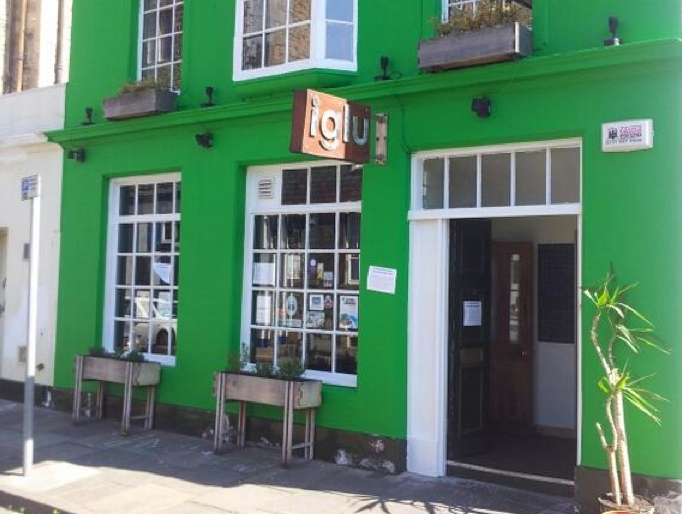 Iglu is a restaurant with a particular atmosphere, situated as it is, in a cobbled backstreet of Edinburgh’s Georgian Newtown. The wood and stone interior is softened with warming lamplight, the cosiness within belying the winter chill outside. 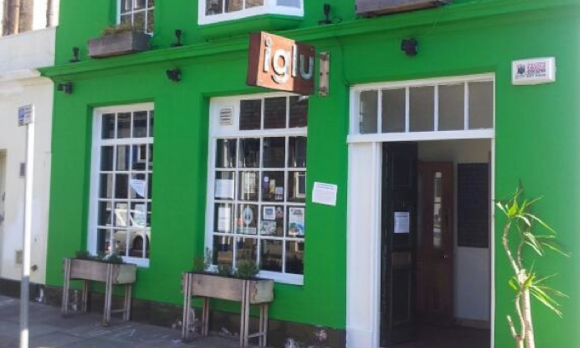 Iglu is a special restaurant; it is a community interest company, a business with a social purpose. Ethically run on sound principles, it takes precedence over the pursuit of profit. Any surplus funds are channelled into furthering social and environmental aims. Diners know they are contributing to a fairer, cleaner world, rather than lining the pockets of shareholders but it is a great, cosy bar/restaurant to hunker down in and enjoy time with friends to boot. That is all well and good but you cannot eat good intentions, so what of the food in this Scottish eatery? My Sunday evening visit started with a close study of the menu offering wild venison casserole, baked sea bass and organic vegetables. After a twice-baked cheese soufflé made with local organic cheese and free range eggs, it was time to chew over a gourmet version of the vegetarian burger. My companion chose the haunch of wild venison with malt jus and mashed tatties. We finished off by sharing a rather delicious earl grey panna cotta with candied Clementine and homemade shortbread and a chocolate delice with cranberry sauce and sloe gin, all from the accomplished kitchen. It means the employees will now all earn a living wage and there is an asset lock in operation whereby all profits will be invested in the social and environmental aims and the company assets will be passed on to a similar type of community enterprise should trading cease. All this is managed by Rebecca Crowther, the general manager with a background, handily, in hospitality and social inclusion. Iglu also played a key role in an eating initiative called Feed 5,000 whereby members of the public were given a free, healthy, ethically-sourced meal in order to introduce them to the delights of wholesome, sustainable food. Recognition in the form of positive reviews from newspaper critics is coming thick and fast to this dynamic team and Iglu has now been awarded the highest number of stars from the Sustainable Restaurant Association. Most importantly perhaps, the customers are happy. Of course, none of this is achieved in a vacuum. Charlie and his colleagues are appreciative of an economic culture which is conducive to the success of social enterprise. “We are very grateful to the Scottish Government for giving a huge amount to social enterprise and for recognising that it needs a boost,” Cornelius adds. Iglu are doing a special deal where for every Organic Iglu pie and seasonal greens sold they will donate £1 to The Big Issue. The pie itself changes often: from cheesy cauliflower or Peelham Beef and Oyster, to cottage or venison and shin of beef – it changes all the time, so really it is a local farm produce pie. And their most popular dish.